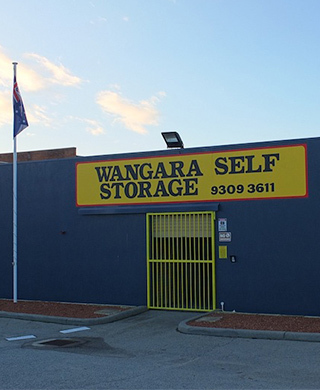 Welcome to Wangara - Joondalup Self Storage! 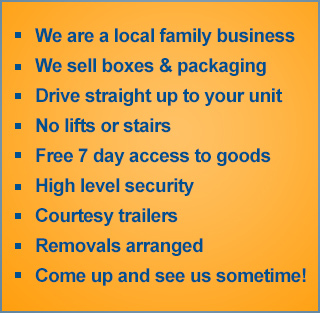 Are you looking to store goods anywhere near Wanneroo, Joondalup, Wangara, Ashby, Banksia Grove, Carabooda, Beldon, Butler, Burns Beach, Craigie, Connolly, Clarkson, Darch, Duncraig, Edgewater, Ellenbrook, Gnangara, Greenwood, Girrawheen, Heathridge, Hocking, Iluka, Kinross, Kingsley, Kingsway, Landsdale, Madeley, Mindarie, Ocean Reef, Padbury, Pearsall, Pinjar, Sinagra, Tapping, Two Rocks, Yanchep, Quinns, Warwick, Whitfords, Woodvale? Then look no further; we can help! Our business is a wholly owned and operated local family business, with no interstate or franchise connections. 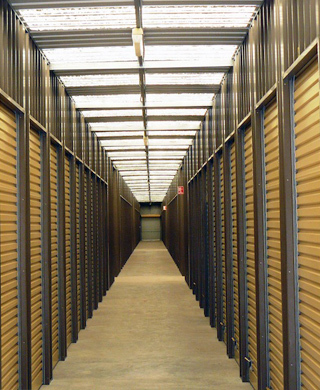 We have been solving local storage problems since 1987, with our convenient range of ground-floor storage units. 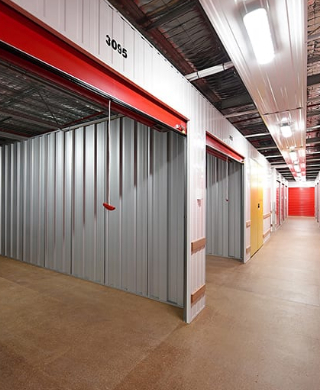 Our units are designed to store household goods, furniture as well as hobbyist, trades and other goods. Motor vehicles and trailers may be stored. 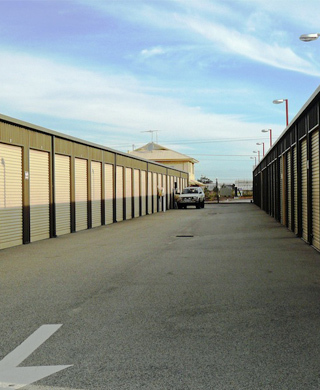 At Wangara-Joondalup Self Storage we offer a high level of security. This includes 24/7 surveillance cameras, a secure and locked after hours perimeter fence, and a secure coded access system. Only persons with a valid entry code may pass through our automatic security gates. Insurance cover for stored goods. Free use of do-it-yourself covered, courtesy trailers - or a reliable removalist service recommended. Boxes, Padlocks, Mattress & Lounge Covers, Porta Robes, Bubble Wrap and Packaging Tape and other accessories are available from our office Box Shop. 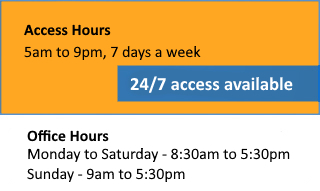 Monday to Saturday 8.00am to 6.00pm. Sundays & Public Holidays 8.00am to 12.00 noon. Takes approximately one third of a three – bedroom house of furniture. Takes approximately half a three - bedroom house of furniture. Takes approximately a small home or 2/3 bedroom house of furniture. Takes approximately an average three - bedroom house of furniture. Takes approximately an average four -bedroom house of furniture.